The reigning NBA Champion Golden State Warriors have made it to the NBA Finals for the 4th straight season with an efficient offense based on controlling tempo. Throughout the 2017-18 NBA season, the Golden State Warriors have boasted a high powered and efficient offense. There is no secret to GSW’s success. The Warriors ranked first in the NBA in points per possession (1.043) and in offensive rating/efficiency (112.3). As a team, the Warriors shot 50.3% and scored at least one point 46.8% of the time. What makes this team so unique is the ability to score and make plays from every spot on the floor. Every player buys into his role. 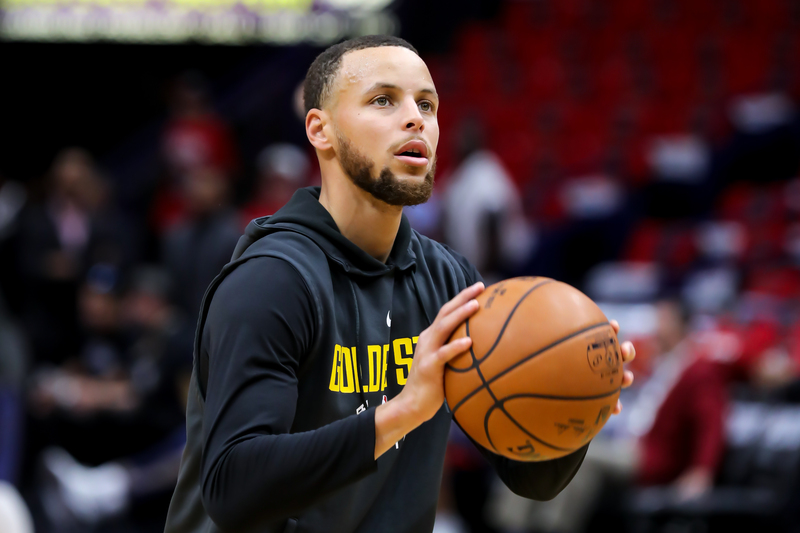 This post will examine three critical areas of Golden State’s arsenal: transition, half court and out of bounds offense. Click on a play to add it to your FastDraw library. Read our preview on Cleveland here and check out more NBA Playoffs sets on the FMS PlayBank. As we’ve seen for years now, Golden State continues to play at a fast pace and push the tempo. It seamlessly flows from transition into early offense that takes advantage of a defense that is not yet set. Any time Durant or Green initiates the break, keep your eyes on Curry and Thompson – they are excellent at busting out for transition 3’s, early movement, and creating opportunities for others just by the attention they command. It often doesn’t look like much, but the Warriors head hunt to get Curry and Thompson open 3’s. The Warriors rank third in the NBA with 1.15 points per possession in transition and early offense. In this area the Warriors are shooting an incredible 56.9% and score at least one point 52% of the time. Thompson headlines this area shooting 55.4% and scoring at least one point 52.5% of the time. The Warriors boast the highest rated half court offense in the NBA this season. They score 1.012 points per possession, shoot 48.8%, and score at least one point 45.8% of the time in half court situations. Golden State’s ability to put multiple playmakers on the court gives it a clear advantage. Curry, Durant, Thompson and Green are very adept at creating opportunities for other people. Golden State is able to plug players into different spots, and not skip a beat. The Warriors rely heavily on player movement and screens in the half court.The Warriors are at their best when Curry, Thompson and Durant are moving. Two actions that GSW uses frequently in the half court are Corner Split and the Elbow Quick. Both of these actions utilize both sides of the court and have multiple options/looks within the set that allow players to read the defense and make plays based on what they see. These actions create catch/shoot opportunities, slipping the screens, iso drives, and cutting baskets. In the playoffs, being able to score in special situations can oftentimes be the difference between moving on to the next round, or being sent home for an early vacation. The Warriors have had 177 out of bounds possessions in the playoffs. They are scoring 1.05 points per possession, shooting 50%, and scoring at least one point 46.8% of the time in OB situations. One of the Golden State’s more common SLOB sets is the Zip Quick action. This action presents multiple options and sets up catch and shoot, basket cut and ball screens opportunities. This action forces the defense into a two-on-two on the weak side of the court. Getting a crucial bucket or getting shot attempts out of this set comes from making the right reads from how the defense plays it. If the Golden State Warriors are to raise the Larry O’Brien trophy for the third time in four years, they will do so by constantly putting pressure on Cleveland’s defense. Look for the Warriors to control tempo and push the ball up the floor as much as they can for easy buckets. In the half court, they will make the Cavs work, spreading them out with player movement and screens. Also pay attention to scoring out of special situations for those extra points that can be difference-makers in a close game. However, this series could be over fast if Golden State remains efficient and on the attack. Follow Austin on Twitter and check out all of his submitted sets via his FMS PlayBank profile.